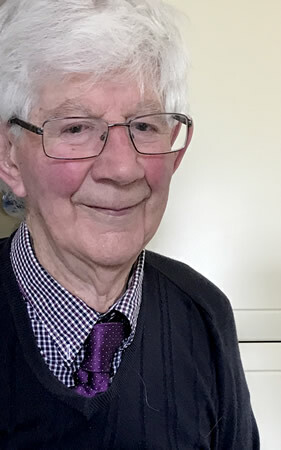 Our father Ted Green, who has died aged 87, made a huge contribution to Wincanton, his hometown, both through his long life working and living in the town, and as a wonderful local story teller. 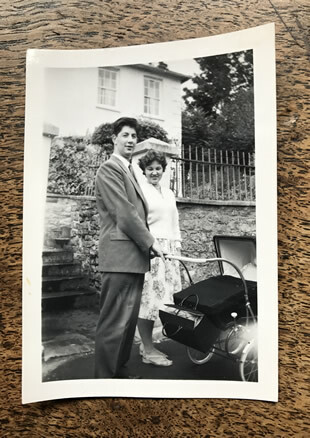 Ted was born Thomas Edward Green at nearby Myrthyr Guest Maternity Hospital in Templecombe, the eldest of three children. 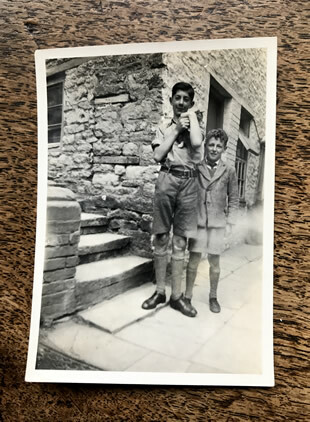 His sister Margaret was born there three years later, and brother John five years later at their home, 73 High Street. Ted’s father, Leonard Green, left the Royal Navy a few years earlier at his father’s request to take over the family business, Thomas Green & Son, builders and undertakers at 73 High Street, Wincanton. Ted’s mother, Kathleen Martin, was the eldest daughter of Edward Needham Martin who had been the clerk to the Guardians and Rural District Council, and died in 1926. 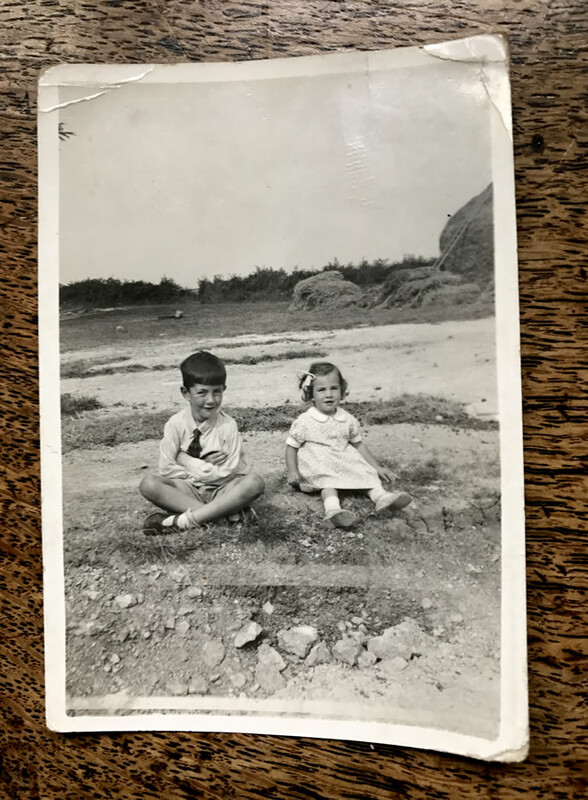 Until the age of eight Ted was educated at Miss Fowler’s Lambrook House School and from there in 1938 he went to Gillingham Grammar School until 1945. “Education I am afraid slipped on my list of priorities when compared with the exciting events happening outside school. On occasions I would join those who cycled to school, we decided one day to take a short cut home, however as the sign posts had all been removed we became hopelessly lost in the lanes between Cucklington and Buckhorn Weston several people directed us, not always on the shortest route, to arrive home late and hungry. 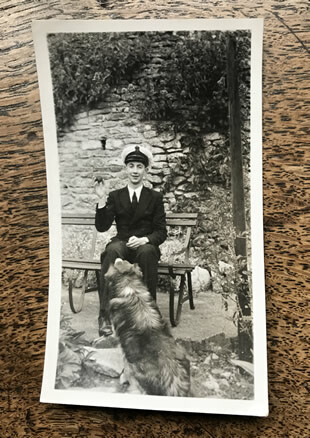 From school Ted was employed at the Westminster Bank in Glastonbury until he did his national service in the Royal Navy. He was released from National Service in 1950. At this time he was young and carefree enjoying a barmy social life in Wincanton. There were dances at the local hotel and films at the picture house. The first five years of Ted’s life were spent at 69 High Street and he then moved to 73 High Street, which was at first home and later place of work. His Great Grandfather Robert Green had purchased this land as part of Pear Tree Close and the adjoining cottage in 1835 to establish his own business as Robert Green Builder, later to become Thomas Green & Son and finally Greens of Wincanton. Ted joined the family business in 1952 to support his father who was ‘war weary’ and struggling. Ted was trained in all aspects of the building trade and took over the family business on Leonard’s retirement. Through this work and through listening to tales told by his father and the many men working at Greens, Ted collected and retold many histories of people and places in Wincanton. “Some months later I was put to work at Albion House where we had the contract for rebuilding following the bomb damage. I really enjoyed working there and learning about the war time experiences of the several men who had returned to work for Dad. Harold (Rodd) who was one of those who put the first bridge across the Rhine, the two Jacks and Fred (Masters) who had been through North Africa and Italy, old Bob (Humphries) who had spent his time in Greenland building the air base there, Fred who would talk of laying a thousand bricks a day in Summer then down the mines for the Winter till called up to be a gunner on merchant ships sailing with North Atlantic and Arctic Convoys. Others returned from working on the bomb damage in London. All together it was a happy team who taught me a lot and were to help me in future years to carry on the reputation built up by previous generations of the Green family. What was once the top yard and site of their joinery is now a row of cottages named ‘Green’s Place’, opposite Ted’s final home on the High Street. In 1950, Ted met Ruth Orbesen Dahl-Hansen at a dance at the White Horse Hotel’s Deanesley Hall. The young man from Wincanton had fallen in love with a visiting Danish woman. Six years later they were wed at Tyrstrup Kirke in Denmark. 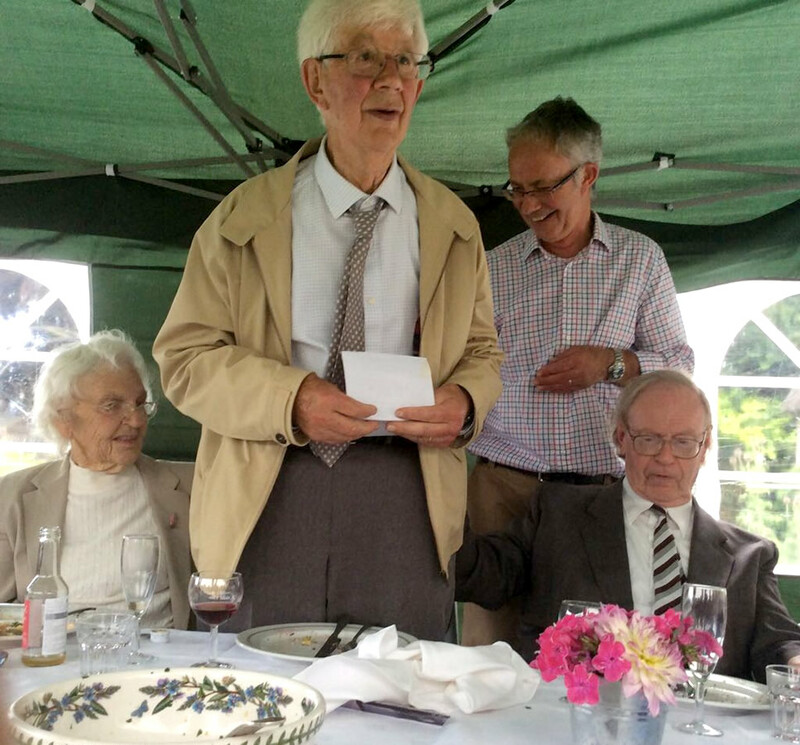 They returned to build their family home ‘Soltop’ (Danish for Sunny Hill) on Overton Lane, the ground was a wedding gift from Ted’s parents and was part of the market garden owned by Ted's Great, Great, Grandfather Thomas Rodgers Green. His land went from Flingers Lane to the garden of 73 High Street. Soltop was extended over many years to accommodate their growing family and resembled the style of a Danish home. As a family man Ted actively engaged with life in his hometown but now also with a Danish interest and family. 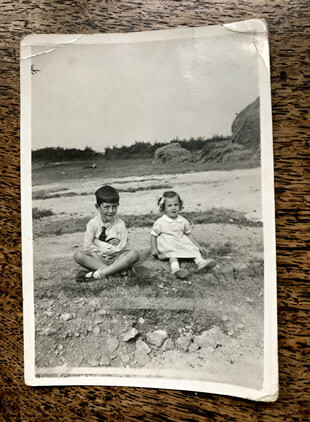 Each year Ted and Ruth traveled to Denmark for their holidays and to visit family, a much longer journey in those days than it is now. This Wincanton-Danish alliance has been renewed through the marriage of Ted’s god son Nicholas Hutchings to Ruth’s niece Margit Schacht, who live in Denmark. Over the years until his retirement Ted was an active member of, and indeed held leadership roles in several committees and associations including those of the local primary school in South Street, the Wincanton Chamber of Trade, Wincanton’s Fairs and Markets, the Tennis Club and Wincanton United Charities. Ted proudly continued a family tradition of serving on the Parochial Church Council of St Peter and St Paul, and as Church Warden for eight years. He was also an early and active member of the Wincanton Trust and as a result became a keen trustee for the Wincanton Museum. 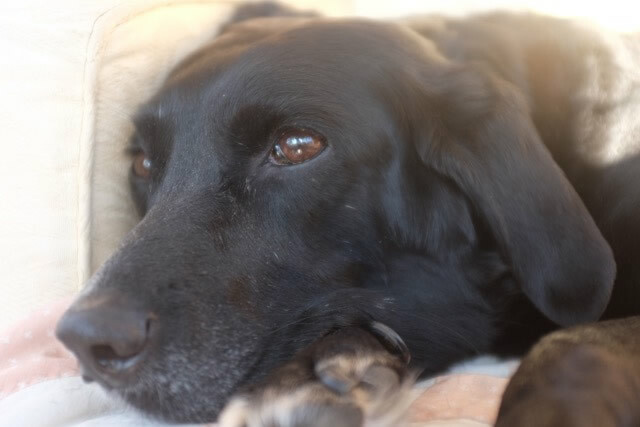 In recent years Ted and Ruth have lived together on the High Street enjoying their garden and its birds, their grandchildren and the company of their loyal dog Lucy who also died this year. Ted liked nothing more than to walk in the top fields with Lucy where he would often share his stories with fellow dog walkers. 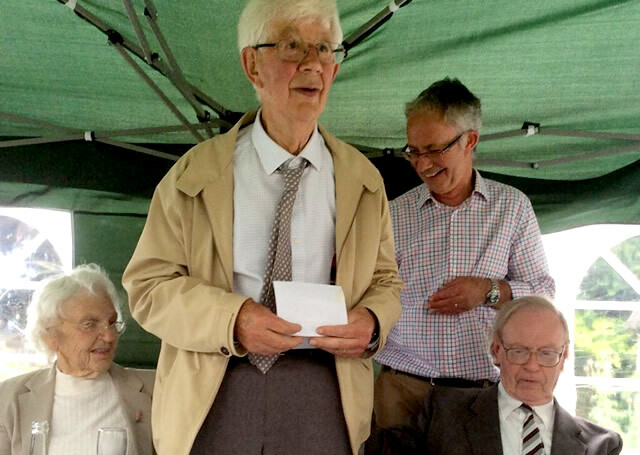 Ted had walked the High Street of Wincanton for more than 80 years and he gave so much pleasure to so many people in the town as he stopped and chatted about the people and buildings of Wincanton, and how things used to be. He was a kind and intelligent man who also showed great interest in how things are today. Ted is survived by Ruth and their four children, Tom, Karn, Robert and Anna, by ten grandchildren, his cousin Colin and by his sibling, John.